NETZSCH INSTRUMENTS NORTH AMERICA, LLC (NETZSCH) and PolymerOhio, Inc. (PolymerOhio) are pleased to announce a joint collaboration for thermal analysis and thermal properties contract testing and training services. NETZSCH will provide contract testing services to PolymerOhio members as well as provide training services regarding thermal analysis techniques. The NETZSCH Thermal Analysis Applications Laboratories (Burlington, MA) are a proficient partner for nearly all thermal analysis issues. 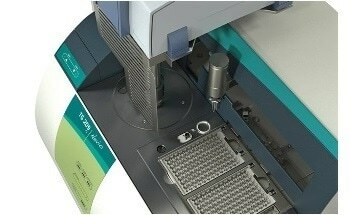 Within the realm of thermal analysis and the measurement of thermophysical properties of polymeric materials, NETZSCH offers a comprehensive line of the most diverse analysis techniques for the characterization of materials (solids, powders and liquids) including DSC, TGA, TGA-GC-MS, TGA-FTIR, TGA-MS, TMA, DMA, DEA (Dielectric Analysis), and LFA (Laser Flash Analysis). Measurements can be carried out on samples of the most varied of geometries and configurations. Properties which can be measured include melting point, glass transition, crystallinity, oxidative stability, curing kinetics, thermal expansion, thermal conductivity, and more. 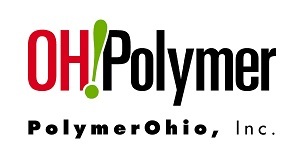 PolymerOhio conducts materials development, formulation, processing, product design and development, process assessment and improvement, market research, and strategic planning projects for companies of all sizes at attractive rates. NETZSCH’s Thermal Analysis solutions will aid PolymerOhio in its mission of serving over 2400 Ohio companies with product development and problem solving needs. PolymerOhio members will now be able to consult with the experts in NETZSCH’s applications labs to choose the best-suited measuring method for their specific thermal analysis needs. NETZSCH also plans to host free, on-site, specific technical seminars to PolymerOhio members. To learn more about how this partnership can help your business, contact Tais Doll (tais.doll‎@‎netzsch.com, 513-535-5457) or Wayne Earley (wayne.a.earley‎@‎polymerohio.org, 614-776-5720).